Broad-leaved croton | Infonet Biovision Home. 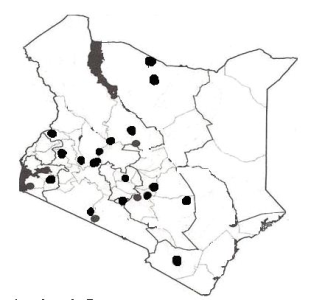 Kamba (Kitundu, Mutundu); Kikuyu (Mutundu, Mutundu wa njora); Kipsigis (Tebesuet); Kisii (Omosocho); (Luhya (Omuswitswi); Luo (Ngong'ngong'); Maasai (Olkeparke); Marakwet (Taboswa); Meru (Mutuntu); Nandi (Tebesuet); Pokot (Toboswa); Taita (Mfirifiri); Tugen (Tebesuet). This tree is common in secondary forests, on forest edges along rivers, around lakes, in moist or dry evergreen upland forests, woodlands, wooded grasslands or clump bushland and along roadsides. Croton macrostachyus is associated with Juniperus-Podocarpus habitats and also occurs in the warmer parts of the montane rain forests and semi-tropical rain forests. It is also widely distributed outside the forests and in wetter areas. Among the luhya community, the tree is well known for its medicinal properties. 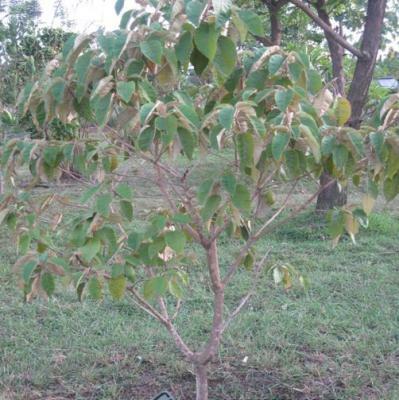 Its leaves' ash is very good on coughs and pounded leaves are good at curing skin diseases. The tree does well in altitude ranges of 600 - 2,000 m above sea level and is spread in agro climatic zones I - III. This croton species is fairly fast growing on good sites but grows slowly on drier sites. Lopping, pollarding and coppicing are suitable practices in its management. Its seeds germinate within 30 - 60 days, with an expected germination rate of healthy, mature seedlots being about 40 - 70%. Regeneration is possible by coppicing, wildings and seedlings. Fodder: the leaves can be used as fodder. Fuel: it is used for firewood and the production of charcoal, but it burns with a rather unpleasant spicy odor. Apiculture: This species is known to produce a dark-ambered honey with strong flavour. Timber: its wood is of medium weight, moderately soft, perishable and susceptible to attack by wood borers. It can be used for heavy-duty flooring, poles and tool handles. Poison: Seeds and resin are poisonous. Medicine: boiled leaf decoction is drunk or ashes taken orally as treatment for cough; juice from fresh leaves is applied on wounds to hasten clotting; root decoction is used as an anthelmintic for tapeworm, as a purgative, and for malaria and venereal diseases and in some communities bark from the stems and roots is boiled in water and newly born babies are bathed in the mixture as a remedy for skin rash. Erosion control: it can also be employed in soil conservation. Shade or shelter: these trees are commonly planted for the useful shade that they provide. Soil improver: it has manyeaf fall provides mulch and green manure. Ornamental; the attractive tree can be planted in amenity areas. Intercropping: it is also suitable for intercropping. The seeds are usually prone to insect attacks while still on the tree. ICRAF. 1992. A selection of useful trees and shrubs for Kenya: Notes on their identification, propagation and management for use by farming and pastoral communities. ICRAF. Albrecht J. ed. 1993. Tree seed hand book of Kenya. GTZ Forestry Seed Center Muguga, Nairobi, Kenya. Bein E. 1996. Useful trees and shrubs in Eritrea. Regional Soil Conservation Unit (RSCU), Nairobi, Kenya.